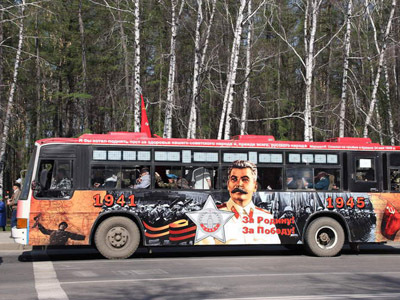 Public buses bearing portraits of Soviet dictator Joseph Stalin will appear on the streets of several Russian cities on February 2 – the 70th anniversary of the Red Army’s victory in the Battle of Stalingrad. 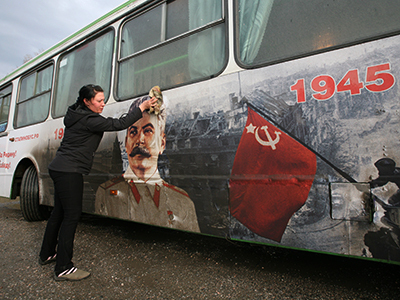 Dubbed ‘Victory Bus,’ the initiative was organized through private donations and the support of Russia’s Communist party (KPRF) and several other public organizations. 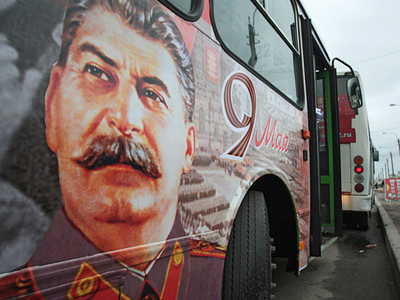 In the city of Volgograd (formerly known as Stalingrad) five mini-buses with the portrait of the Soviet leader will operate until May 9, when Russia celebrates the defeat of Nazi Germany in World War II. In Russia’s Northern capital, St. Petersburg, a free bus will circulate though the city’s center on February 2. Citizens of Chita in Eastern Siberia will also have a chance to ride on the so-called ‘Stalinobus’. All of the vehicles belong to private transport companies, ‘Victory Bus’ coordinator Aleksey Roerich told Izvestia daily. The initiative has already sparked criticism from rights activists, politicians and nationalists. However, the organizers are confident that the action is completely legal. “We don’t paint swastikas. 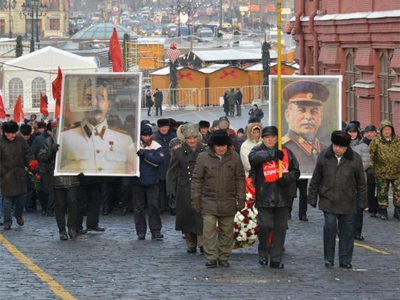 Thank God, Communist ideology and Stalin’s image have not been officially condemned. We only urge the preservation of memory of the WWII victory and people who contributed to it,” Izvestia quoted ‘Victory Bus’ organizers as saying. The Presidential Council for Human Rights said it would “harshly react” to the initiative, and vowed to file complaints with regional governors, who are also displeased with the plan, Izvestia reported. Volgograd lawmakers have decided to restore their city’s previous name: Stalingrad (‘City of Stalin’). However, the name will only be used symbolically, and on days when historic events related to World War II are observed. The anniversary of the Battle of Stalingrad on February 2 will be the first time the old name is used in the Southern Russian city. The city parliament’s deputies said they made the decision in response to multiple requests from the veterans of the Great Patriotic War (World War II). They deputies explained that there is no connection between the move and an initiative by the Communist party to restore the city’s Soviet-era name, Interfax reported. Meanwhile, Russia's human rights ombudsman Vladimir Lukin blasted the Volgograd’s legislators’ explanation as “demagogical” and added that the initiative is “an insult” to those fallen in battle. He noted that they certainly deserve to be honored, but in a different way. On Thursday, the St. Petersburg branch of movement Russkiy Lad (‘Russian Order’), which was founded by the Communist party, published an appeal to the country’s political leadership and the head of the Orthodox Church that Volgograd be renamed as it is “remembered by mankind.” Citing polls, they claimed that about 100 million Russians support renaming the city Stalingrad. Founded in 1589 and originally named Tsaritsyn, Volgograd was renamed after Joseph Stalin in 1925. Its name was changed to its current incarnation in 1961 by then-leader of the USSR Nikita Khrushchev. “I’m confident that justice will prevail! There are streets, squares, and boulevards named after Stalingrad almost in all the counties in the world. 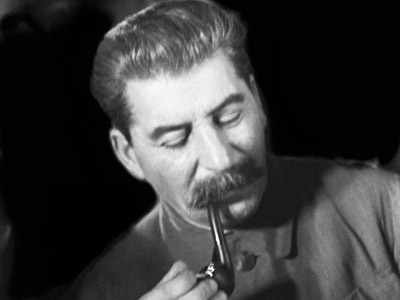 That’s why it’d be fair to return to Volgograd its true name: Stalingrad,” Communist party leader Gennady Zyuganov said. 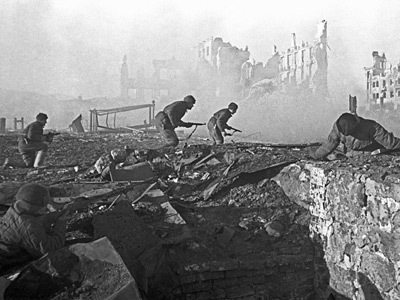 The Battle of Stalingrad was the turning point in World War II, and consequently led to the defeat of the Nazi army. The conflict lasted between August 1942 and February 2, 1943, claiming the lives of nearly 2 million people on both sides. On Saturday, 70 years after the end of the epic battle, a military parade will be held in Volgograd. The 650-person march will be lead by a legendary T-34 Soviet tank.